Author Monica Wood had this to say about the book: "His men and boys become so real, I feel as if I know what it might have been like to grow up surrounded by brothers. Nichols is one of my favorite writers." We are excited to launch the Maine Calling Book Club and hope that you will take part in our discussions of books you know and love, and books you've always wanted to read. It should be fun! The Maine Calling Book Club takes place the last Thursday of every month. Our host and panelists will discuss the month's selection, and we really want to hear from you. Our book selection criteria? Each title should be available in paperback and it should spark a good conversation. Some books will have a Maine connection and some won't (we are hoping to cover some classics!). We’d love your participation, your input, and your suggestions about how to make the Book Club a success. Feel free to suggest future books we should consider. Send your comments and suggestions to mainecallingbookclub@mpbn.net. Let’s get reading! Take part in the Maine Calling Book Club and join the conversation! The Maine Calling Book Club discusses Monica Wood's collection of interconnected short stories about the fictional mill town of Abbott Falls, "Ernie's Ark." Gibson Fay-Leblanc: writer, teacher and Portland Poet Laureate. His first book of poems, Death of a Ventriloquist, won the Vassar Miller Prize and was published in 2012. The Maine Calling Book Club reconvenes to discuss Harper Lee's classic 'To Kill A Mockingbird." Guests: Ron Schneider: attorney with Bernstein Shur who specializes in employment and health care law but has practiced criminal defense as well. He has a bachelor of arts degree from Bates College. Sandra Thompson: English teacher at Sanford High School. She has a BA in English and an MA in Education. She's teachers 'To Kill A Mockingbird' every year. The Maine Calling Book Club reconvenes to discuss Atul Gawande's best selling book 'Being Mortal: Illness, Medicine, and What Matters in the End." The Maine Calling book club reconvenes to discuss Lois Lowry's 'The Giver.' It's the story of twelve year old Jonas who lives in a dystopian future where there is no war, pain, fear - and no color or emotion. Jonas's rebels against his job as holder of memories of both the joy - and the pain - of life. The Maine Calling Book Club reconvenes to discuss Cheryl Strayed's memoir of hiking the Pacific Crest Trail. "Wild" is now a major motion picture starring Reese Witherspoon. Join us for the next Maine Calling on Wednesday, November 26, when we discuss Roxana Robinson's novel "Sparta" about a veteran returning from the war in Iraq and the challenges he faces at home. Join us for a discussion of Elizabeth Strout's award-winning book "Olive Kitteridge." 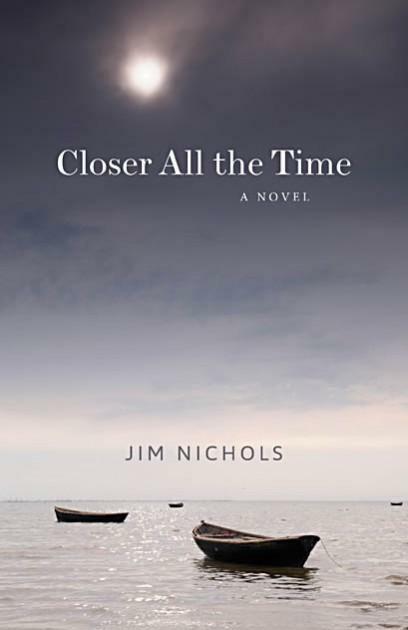 It's a series of intertwining short stories set in a fictional coastal Maine town. An HBO mini-series based on the book premiers later this fall. This month the discussion takes up Barbara Walsh's memoir "August Gale - A Father and Daughter's Journey into the Storm." It reads like fiction and tells the story of a fisherman fighting an unforgiving sea, a father who abandons his son, family secrets and reconciliation. GUESTS: Jon Keller, author of the novel "Of Sea and Cloud." He's worked on lobster boats and now works as a clam digger. Elizabeth Peavey, author of "My Mother's Clothes"
Helen Peppe, author of "Pigs Can't Swim"
Jaed Coffin, author of "A Chant to Soothe Wild Elephants"
This program was originally broadcast on April 28, 2104. The Maine Calling tackles its first kids' book. Geared toward middle school readers, Wonder by R.J. Palacio tells the story of a 10-year old boy named August with severe facial deformities heading off to school for the first time. Josh Christie is the author of Maine Beer: Brewing in Vacationland. He is a bookseller at Sherman’s Books in Portland and co-founder of the podcast Bookrageous. "Orphan Train" is Christina Baker Kline's breakout novel. The author - who grew up in Maine and comes back each year - has written four books, but this is the first to really take off, selling more than 800,000 copies. It spent 30 weeks on the New York Times best-seller list. The novel interweaves the story of two protagonists - Molly, a teenage girl of Penobscot Indian heritage living in a foster home, and Vivian, a wealthy elderly woman whose childhood was also marked by displacement and loss. John Steinbeck's debut novel Of Mice and Men won praise from critics as a well-written, well-paced mystery with well-developed characters. The main characters, Lennie and George, have become cultural archetypes.